8900 Lido Ln., Port Richey, Fla.
Our listing agent Chris Foottit successfully closed on this wonderful 3-bedroom, 2-bathroom, 2-car garage corner lot home in the heart of Port Richey, Fla by securing a contract in under a week and closing right as scheduled. Talk to Chris today to see how he call sell your home for you. 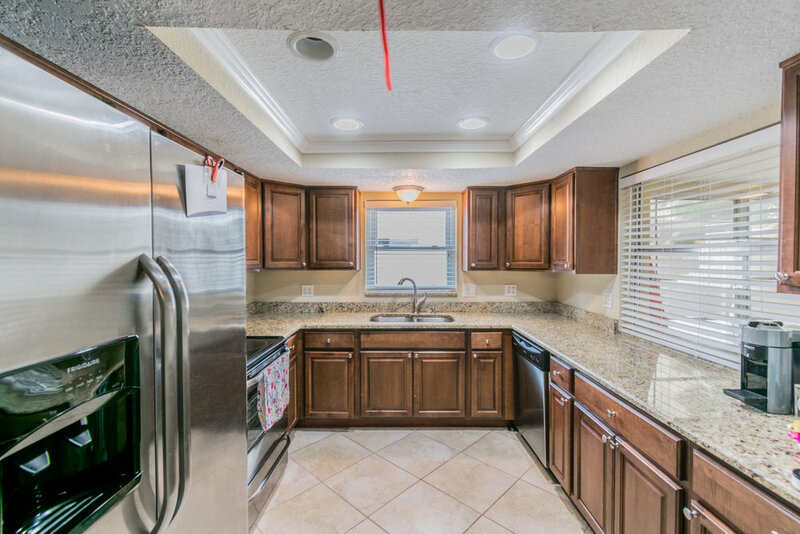 The gourmet kitchen features unique cabinetry and trim work with the best in new granite countertops and stainless steel appliances. Plus, this kitchen sits right next to the main living and dining areas of the home, making this spot the place to be! The master bedroom should be on a magazine cover! This large and inviting space has plenty of room for an oversized king-sized bed with nightstands. Plus, the master bathroom and closets have everything you're looking for. The backyard, side yard, and outdoor spaces showcase great lounging and play spaces for kids and adults of all ages. Plus, the covered outdoor lanai is that perfect spot for hanging outside when bad weather strikes.